Everyone loves bubbles! Even photographers. 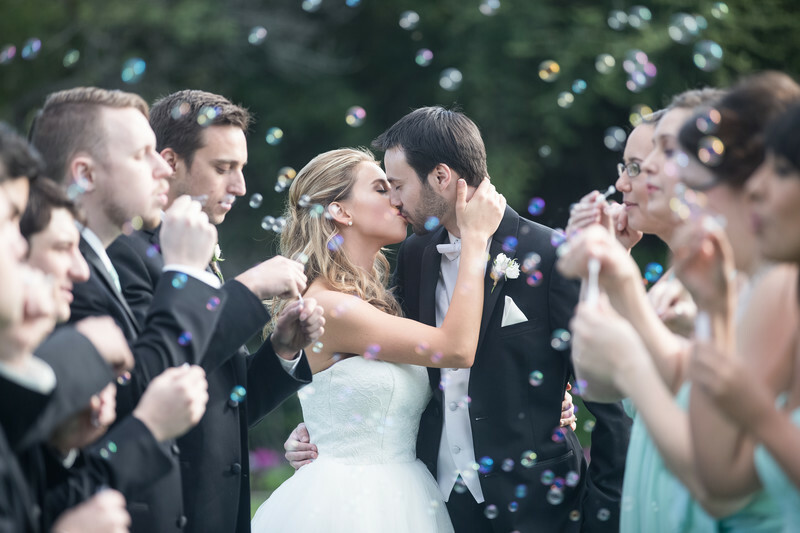 In additon to the whimsical bubbles, the bridal party nicely frames this passionate bride and groom kiss.